Hard disk is a permanent storage medium of computer; its structure is quite complicated because it uses head and tracks for the reading and writing of data. Data is stored in binary form just only to be understood by machine itself. This is the secondary storage of the computer and is considered as compulsory part. The hard disk can be internal hard disk or external hard disk; it could be IDE, SCSI, and SATA. It could be either primary hard drive with operating system or secondary hard drive. The hard disk can be divided in partition; primary or extended. 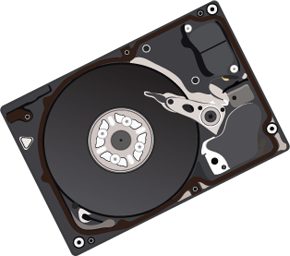 The physical hard drive failures occur when the hardware of hard drive is causing problems. Whereas in Logical Hard Drive failures the reasons for data loss can be varied: un-intentional deletion of data, corruption of data due to virus or bad sector. 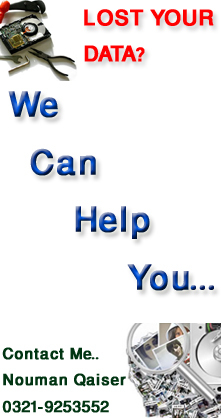 Our data recovery service will rescue files, folders and partitions. Our specialized staff and high-tech machinery is retrieving the lost data from hard drives of all brands and manufacturers using cloning/imaging disks/hdd making chances of data loss less and less. We are equipped with up-to-date and modern lab – a safe and secure data recovery environment, which guarantees that your data is in safe hands. Also we ensure complete privacy of personal data. Data can be recovered irrespective of format whether they are pictures, images, music files, worksheets, documents or backup of any types. When hard disk stops responding or data is not traceable, contact us immediately for data recovery solution.